Straightening your hair is something that you either use electric straightening irons for or chemicals at the salon. However, with a movement toward less damaging natural hair care, more and more people are beginning to look for natural hair straightening methods that have less impact. Before you reach for any appliances or chemicals, why not straighten your hair naturally? Learn how to do it below. If you wash your hair at night time, then you are bound to have plenty of time to try out natural hair care techniques. One of them is wet brushing. After you wash your hair, allow it to dry on its own as opposed to using a hairdryer. However, while it’s drying, brush it every five minutes, pulling it apart into sections so that it dries straight. 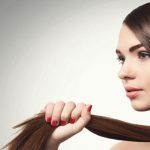 While it may be faster and easier to use a wet-to-dry hair straightener, or with a hair dryer, it’s far better for your hair to try this more natural hair care regime. This technique may be reminiscent of natural hair care methods from many years ago, but it’s clear to see it existed for a reason: it worked. Buy rollers that are around the same diameter as a beer or cola can, rolling your hair tightly up into them. Once they are entirely dry, with no moisture at all, let your hair out of them. If your hair is not entirely dry, then there will be a slight wave to your hair. Botox, also known as Botulinum Toxin A (BTX-A), has long been used as a way in which to keep your youthful appearance. If you didn’t want wrinkles or sagging skin, you could opt for Botox injections and correct the problem immediately. You could then benefit from looking younger for up to four months before needing to get more Botox injections. It’s clear to see why Botox is so popular: it enables people to take a dip into the fountain of youth – at least temporarily. 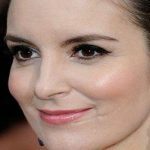 However, for many people who have undergone facial reconstruction surgery, Botox injections also have another use: minimising facial scarring. According to a clinical trial with results published in the official medical journal by the American Society of Plastic Surgeons, Botox may help to create narrower and flatter surgical scars. The study, titled ‘split scar’, involved 16 patients with an average age of 12. These patients underwent surgery for facial birth disfigurements such as birthmarks. During surgery, each patient received a Botox injection or placebo in one half of the scar immediately after the wound’s closure. Illegal drugs can ruin a life in multiple ways. Imagine being addicted to a drug to the extent that you are willing to do anything to get more, even if it means breaking the law. Not to mention that it has a number of serious health risks that can ultimately lead to death. One of the most dangerous drugs is cocaine. About 19% of drug users take cocaine, making it the second most used drug next to marijuana. What makes things worse is that the number of cocaine users is increasing. 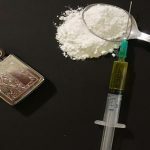 As a result, governments are doing their best to fight drugs by creating stricter policies while there are more drug rehabs like Bali Health Services appearing as well to help addiction. It is a white crystalline powder that has a bitter taste and numbing effect. This is commonly mixed with other substances like glucose and lactose. This is a purer version of cocaine hydrochloride. It features a white chalky powder that is finer than other types. We all know it is much healthier to be fit, but for couch potatoes or people who live a really busy life, getting fit is often the last thing they think of or want to do. By the time they get home from work and see to the children and housework, there is little time and energy left to even think about a work-out. However, if you think up ways to make exercising fun, it is far more likely that you’ll find those extra minutes in the day to do some. 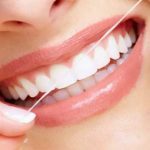 Speak to an experienced dentist such as Candlewood Dental Centre and they will tell you that no matter how often and how rigorously you brush your teeth, unless you floss too, your dental care is incomplete. This might seem strange to hear as from an early age it was drummed into us how important it was to brush our teeth at least twice a day. Isn’t that enough? The truth is, unfortunately it is not. Brushing your teeth does a great job of removing plaque and getting your teeth clean where your toothbrush can reach, but the size and shape of toothbrushes mean they can’t reach every part of your teeth and gums. This means that particles of food get missed and become a magnet for plaque and other bacteria. Think of it this way. Imagine you were building a wall using the square building blocks that young children play with. Let say you build it eight blocks high, by four blocks wide so you would need 32 blocks altogether…exactly the number of teeth most adults have. If you then had the job of cleaning the wall with a brush, it would be easy to reach all the outer surfaces all the way up to the top surface. The problem you would have is trying to reach the surfaces of all the blocks that are adjacent to each other. It would be almost impossible to clean these and that is the same problem your toothbrush has when you brush your teeth. It can’t reach, and therefore can’t clean, the surfaces where your teeth are closely sat next to each other and thus the plaque remains untouched. These days there is a great deal to interest kids and absorb their attention; things that require them to exercise nothing but their thumbs. The result is an upswing in childhood obesity and even diabetes and other overweight related health problems. As a parent it is your responsibility to ensure your child has not only a good diet, but enough exercise to make them fit and healthy. This is not as difficult as you may think. Here are some tips to get your kids loving exercise. When kids are little, purchase play equipment such as trampolines and slides rather than swings where they just sit. Teach them how to ride a bike and take them cycling every weekend. If it’s not too far and you have time, walk them to school. Pick them up in the afternoon when they may be more tired. You can beat the gloomies by creating an outdoor space complete with lovely outdoor furniture. A table and some comfortable chairs will beckon the most reluctant person outside and encourage you to stay there for just a bit longer. If you like gardening, perhaps you could do some while you are outside and that would be one good way to get some much-needed exercise. There are many reasons for people to suffer from depression. Sometimes there is the need for prescription medication, but not always. It is possible to beat some kinds of depression by changing your lifestyle. Spending time outside in the fresh air and sunshine can be a good antidote to some types of depression, especially SAD. But some SAD sufferers live in areas where there is no sunshine for weeks or months on end, which is why they suffer from this form of depression. However, for people who just feel a bit gloomy or irritable, going outside for a while can be really helpful. It seems to be because of the change of pace and environment. You have more space when outside instead of being enclosed in a small space, often with many other people. Just being out in fresh air and sunshine makes you feel good. If you can participate in some kind of exercise it is even better. There are many ways a person with a disability can get fit, but what they can do depends on the level of disability and where it affects them. Here are some ideas to get fit for a wide variety of disability levels. Swimming – people with only one limb can actually swim, as amazing as that seems, so swimming will suit many disabled people. It is an ideal way for them to get fit and train their bodies to make the best out of their remaining muscles. It also trains the heart and lungs to get fit. Aqua-aerobics is also a good way to get fitter if swimming is not your thing. The water helps to support you and exercises can be done without putting too much pressure on painful areas. Aerobics is another form of exercise that can contribute much to the cardiovascular system, help with weight loss and generally help to maintain fitness levels. It is important to make sure you breathe deeply during exercises as this helps to improve the capacity of your lungs. There are many ways to achieve and maintain fitness, but not every way is suitable for every person. Younger people who are relatively fit to start with can get away with the more energetic kinds of group fitness training, such as Body Pump, Body Attack and other Les Mills inspired fitness training routines, but those who are very overweight or unfit should not jump in at the deep end. It is wiser to start off with something that is easier otherwise you’ll risk injury that could put you out of getting fit for months. If you are young and healthy but not fit, start off slowly and gradually increase your regime whatever you choose. This is where the services of an experienced personal trainer can come in handy. They should be able to draw up a plan for getting you fit without any injuries. They can keep an eye on you to ensure you do the exercises properly and make sure you don’t overdo it. They will also tell you when it is safe to increase your efforts to get even more fit. Older people really do need to take up some form of exercise to keep in good shape, but if you have any health issues you should seek the okay from your doctor first. 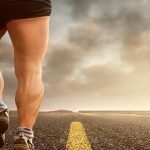 People with arthritis should avoid any kind of exercise that will jar their joints including running or jogging. They are better off exercising with swimming, aquarobics, cycling or walking. They should exercise in a way that stretches their joints carefully to increase their range of movement. Our health is directly related to what we eat; the old saying, you are what you eat is true to a great degree. Many diseases are caused by poor eating habits and the obesity it often causes. Heart disease, Type 2 diabetes and even some types of cancer can be caused be eating the wrong food or highly processed foods that lack nutrition. Poor eating habits start from childhood and can be caused by parents not taking enough time to find out what is the right way to eat for health. And often when both parents have to work it is an easy choice to purchase fast foods or foods that come out of a packet. Even foods from the freezer section of the supermarket are not as healthy as natural foods, especially if they are processed and pre-cooked. Food that looks as close to nature as possible is the healthiest. Fresh fruit and vegetables that are steamed quickly and lightly without any additives such as salt or fats are good. Raw vegetables are also very healthy in most cases, although some are difficult to digest. However, they can be grated to make it a bit easier on the teeth and digestion. Some vegetables should not be eaten raw. Potatoes may not be clean enough to eat raw and if they have any green flesh on them it should be avoided as it contains a poison when not cooked. When a person develops an eating disorder such as Anorexia Nervosa or Bulimia it should not be taken lightly. This is a psychiatric disease that can cause early death either through illness or from suicide. If you suspect your child has this condition it is essential to get treatment for them as soon as possible. This is highly likely to be both medical and psychiatric in nature. Recovery is a very long and slow process and so family and friends must all know how to cope, both with the sufferer and the stress of the situation. Here are some tips to help. An eating disorder often affects the sufferer’s sense of identity. You need to remember – and help them to remember – that the disease is not who they are. It is essential to point out to them often that they are more than their disease. This helps to increase their sense of self worth. Encourage the sufferer to tell you how they are feeling on a regular basis. It is important to communicate openly with them about their illness and their feelings. It is also essential not to be judgemental or negative in any way. Be positive with them all the time and tell them you are sure they will soon be well, even if you don’t feel like it. Learn about the eating disorder that your loved one has so you can better understand what they are going through and how they feel. It will also help you understand what is happening to them. Knowing about the disease is the key to understanding. Growing up I vividly remember a serious kidnapping that occurred in my home state, whereby a fourteen yr. old girl was stolen from her bedroom in the dead of night and held captive for over nine months before being rescued. The details surrounding her disappearance were very unclear at the time and some questions remain unanswered to this day. Did she run away with this man, did she resist capture, how was the man able to sneak her away into the night with her whole family present? In fact, the youngest sister had witnessed a man come in and take her but she hid in fear for hours before telling their parents, who in turn simply sent the little girl back to bed believing she had had a bad dream. It was later that night when they realized their own nightmare had come to life and in the morning her disappearance was announced on the news and a state-wide search began. I took part in those first weeks of searching. My friends and I would get together and hike though the vast expanses of wilderness that surrounds the area. We had never met this young girl but we wanted to help somehow and being young and able we could cover a lot of ground in a day. We tired ourselves to the bone as we roamed the steep mountains and valleys, wading through large groves of dense trees, straining our eyes as we scanned the landscape for any clue, anything that might lead us to her, anything that might help her be found. Whatever imaginations I had of saving her at that time totally evaporated after the first week. We had searched miles and miles of terrain and there were hundreds of miles left, we had gone far but couldn’t go far enough. The horizon continued to stretch far away at the end of each day, each day she was suffering greatly, and each day her salvation felt further out of reach. Liposuction surgery is a procedure that needs care afterwards, but the amount of care needed is dependent upon how far-reaching the procedure was. If only a tiny fat bump was treated you’ll find that there is not much pain or swelling and the area will heal quickly. If you’ve had a large area treated the care needed will be far more comprehensive. If the doctor is going to remove a great deal of fat, a lot of fluid and blood may be lost at the same time. To treat this, the doctor may request that you donate blood so that he or she can use it to replace what was lost. You may also need to be on a drip to restore fluids. This will all be done before you are allowed to leave the clinic. Expect to experience things such as numbness, bruising and swelling right after the operation. It is important to get up and walk around as soon as the doctor okays this, as it will prevent other possible problems such as blood clots that can happen after any kind of surgery. The doctor may have inserted a small drainage tube to prevent the build-up of fluid in the area. He or she will advise you on where and when to remove it. You may have to return to the clinic to have it done. It is clear that there are many different paths to addiction recovery but some approaches are less likely to work than others. The motivation to escape substance abuse is a precious commodity, and it would be a real shame if you wasted this determination on a path not capable of taking you to where you want to go. Here are approaches to addiction recovery we suggest you avoid. It is true that some people manage to break free of a substance abuse problem without much help from a drug rehab, but this approach does not work for everyone. If you have already tried to stop on your own, and it hasn’t worked, the chances are it won’t work in the future either – usually, if you keep on doing the same things, you will keep getting the same results. The white knuckle approach is where you stay away from alcohol or drugs using willpower alone. This can be similar to going on a crash diet – you may feel highly motivated in the beginning, but using willpower requires energy, and the likelihood is that eventually you will run out of steam. Staying sober using the white knuckle approach usually means treating recovery like you are serving a prison sentence – it’s just not much fun. Should I Put Pressure on a Loved One to Get Addiction Treatment? It is incredibly difficult to stand by and watch somebody you love destroy his/her life with alcohol or drugs. It is easy to succumb to hopelessness in this situation – especially if this person has made multiple attempts to quit but failed. One of the most common questions people have in this situation is whether or not they should put pressure on their loved one to get addiction treatment. This is a tricky question to answer because it depends on the situation. Is Putting Pressure on Somebody to Go to Rehab a Waste of Time? You have probably heard the claim that a person needs to be ‘ready’ for addiction treatment in order for it to work. This idea makes a lot of sense, but it is not necessarily true in all cases. There are plenty of examples of people who felt pressurised into going to drug rehab, yet they still ended up achieving permanent sobriety. Of course, there are also people who felt pushed into going to rehab who remained resistant and didn’t benefit much from the experience. If you have already tried to quit on your own and failed, it would make sense that you try a different approach this time. A rehab can give you all the support and resources you need to turn recovery into a reality. If you were diagnosed with diabetes, wouldn’t you want the best treatments available? Why should addiction problems be any different? One of the things you are likely going to have to deal with in early recovery is addiction cravings. These urges to drink or use drugs again can seem to appear out of nowhere (although they will always be triggered by something), and they can happen at the most inconvenient time. A traditional approach to dealing with drug or alcohol cravings is distraction, but this can reinforce the idea that urges are something you need to be afraid of. A more effective approach might be to use the mindfulness tool of urge surfing. Urge surfing is a technique devised by Alan Marlatt who was a professor of psychology at the University of Washington. It is a way of applying mindfulness as a way for dealing with cravings rather than turning to distraction. These urges rarely last more than 20 minutes, so if the person can just sit with this thought, it will eventually disappear. Even if you highly motivated during your stay in rehab, you can still end up failing in your attempt at sobriety if you have insufficient aftercare. The transition from the protected environment of this type of facility to the real world can be bumpy unless you are prepared for it. Here are 5 mistakes to avoid with aftercare planning so your move home goes smoothly. There is not much point in just learning to be sober in drug rehab because you will soon be back in the real world. This is why everything you do needs to be preparing you for when you go home. Aftercare planning needs to begin from day one because if you leave it too late, you won’t be ready for the transition. A good aftercare plan is going to cover the different aspects of your life including physical health, mental wellness, and spiritual needs. If you focus too much on one area, it may mean your sobriety is unbalanced and therefore not as strong as it could be. If this is your first Christmas sober, you may be approaching the holiday season with a touch of trepidation. This is a time of year when getting drunk becomes far more acceptable, and even social drinkers will tend to go a bit overboard. How will deal with this increased pressure to drink? Will you spend the holiday feeling like you are missing out? How can you enjoy Christmas without alcohol to put you in the right mood? Even if you are not a big fan of the recovery meetings, it is worth making an effort to go at this time of year. It means you will be around lots of other people who are having a sober Christmas, and you will gain strength from their support and experience. Groups like Alcoholics Anonymous also usually have parties at this time of year, so you can get to let your hair down in a safe environment. If you are still in early recovery, it is best to avoid high-risk situations as much as possible, but this can be hard to do over the holiday season. There may be some type of work function that you are obliged to attend. In this type of situation, it is best to make a brief appearance and leave before people get too intoxicated. It can also be helpful to bring along a sober friend for support – just make sure this person has solid sobriety or you could be both putting your recovery at risk. If you have been diagnosed with a borderline personality, there is a high likelihood that you also engage in substance abuse. This self-medication will be an attempt to ease your inner-discomfort and sense of isolation. The problem is that falling into addiction is like jumping out of the frying pan and into the fire. It is vital that you overcome your substance abuse problem, so you can manage your borderline personality symptoms. Borderline personality disorder is a relatively new diagnosis (although there is growing support for renaming it ‘emotion regulation disorder’). It is not that this condition has suddenly appeared out of nowhere but that people with these symptoms used to end up with diagnoses such as emotionally unstable, pseudo-schizophrenic, or pseudo-neurotic. The word ‘borderline’ refers to the fact that the symptoms share similarities to other mental health conditions. Some days are better than others when you are caught up in drug addiction, but it is not going to be possible to create sustainable positive change in your life so long as you are controlled by intoxicants. Every day you continue to devote to this behaviour is a day lost, and life is too short to be wasting time like this. Maybe you tried hard to control your drinking or drug use over the holiday season, but the likelihood is you ended up doing things you regretted due to intoxicated. Maybe you didn’t directly upset a love one, but the fact that you were preoccupied with your drug will have been sensed. By getting sober now, you won’t have to worry about ruining another Christmas. Writing therapy can be most effective when it is done under the direction of a therapist, but it is a good practice for anyone recovering from substance abuse. You don’t need to worry about grammar or spelling with engaging in this activity, and it is not about judging your abilities as a writer. Here are just some of the ways writing therapy can help you stay free of drug addiction. If you are getting stressed about a situation, writing can be a great way to let of some steam. You may be almost shaking with anger when you first grab your pen, but you are likely to feel much better by the time you finish writing. Just put down all your thoughts about the situation on paper without any attempts to edit, and it can be like releasing the valve on a pressure cooker. Writing things done can easily lead to insights because it means you get to see things in a new way. If you have a problem, just start putting some of your thoughts down on paper – for example, if you have to make an important choice, you can make a list of pros and cons of each direction you can take. Keeping a daily diary can also mean you stumble upon insights into your life that you would otherwise have missed. Up until becoming sober, your main tool for managing stress would have been alcohol or drugs. If you don’t find an effective replacement for this coping strategy, you are going to be at high risk of relapse. Yoga has been shown to reduce the stress hormone cortisol (Source: NCBI), so it is a proven technique for stress reduction. The words ‘try not to worry’ are probably the least helpful thing people can say to those of us who have anxiety issues. The reality is our minds just automatically latch on to things to obsess about, and it can feel like there is no real choice involved. This is why mindfulness is such a wonderful practice – it is not about trying to stop these thoughts but learning how to manage them. Most magazine and web articles about mindfulness will come with a picture of somebody sitting in the lotus position with a serene smile on their face – they will usually be on beautiful tropical beach somewhere. This depiction of the practice can lead to all types of misunderstandings about what it actually involves. Mindfulness is a perfectly natural way to be – it is the way you experience the world as a young child. It just means that you are fully focused on the present moment without judgement. If of thoughts of the past and future start to arise, you just acknowledge this and bring your attention back to the present moment. When you have some or a lot of missing teeth, most dentists will advise you that dentures are usually the answer as they cost much less – at least initially, than procedures such as dental implants. Most people get them so they can chew their food, or for aesthetic reasons as a dark gap in the line of teeth looks unsightly. However, there are other benefits that most people don’t even think about. They help to maintain the shape of your lower face. Without them your cheeks sink in and give a gaunt look to your face. They reduce pressure on your remaining teeth – and the crowns or fillings that may be on those teeth. Having dentures reduces the likelihood of having problems with your jaw. 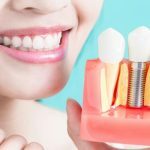 They also prevent the teeth that are left from moving and changing your bite, which can cause pain as it puts pressure on places that are not meant to withstand it. When there is a gap between teeth, those that are next to the gap tend to move into it to try and fill it up. This makes them crooked and more liable to decay, since they are then more difficult to keep clean. You can speak more clearly when you have a mouthful of teeth. Last but not least, you can chew food better when you have all the teeth in place. This can help your digestion and so, your health. These days’ hair-free bodies get the tick of approval from society in general. While women have shaved their underarm and bikini lines for years, they now tend to want to have other areas hair free as well, including their arms and legs. Men are joining the queue to have hair removal treatment too. Many choose IPL hair removal treatment for convenience. When a person has a lot of hair over their body they will usually feel embarrassed. Hair is not acceptable these days and everyone wants to feel accepted. Having hair removal treatment makes you feel more accepted and in fact it will have that affect, especially if you spend a lot of time on the beach or at the pool.